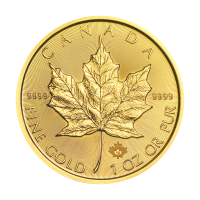 We’ll offer you the web’s lowest rate, when you order your 1 oz 2019 Canadian Maple Leaf gold coin from our online shop today. 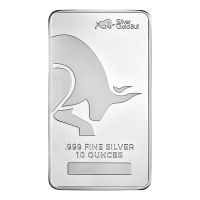 The acclaimed Maple Leaf range from The Royal Canadian Mint is renowned for its flawless detailing and state of the art security and design features. The reverse of this bespoke masterpiece features a Canadian Maple Leaf, every detail and vein meticulously realized. The reverse also features a field of dazzling, micro-engraved radial lines, a mint mark, Canadian legend and details of weight, content and purity. 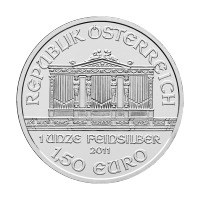 The obverse features the same dazzling field as the reverse, with a stylistic feature depicting Elizabeth II in profile. Also on the obverse, Elizabeth II’s name, as well as the coin’s face value and year of issue. The Maple leaf is a widely recognized symbol of the nation of Canada, thanks to its use in the centre of the Canadian national flag. 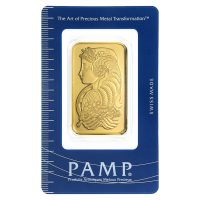 Celebrate the beautiful land of Canada and enrich your portfolio with a breathtaking 1 oz 2019 Canadian Maple Leaf gold coin today! 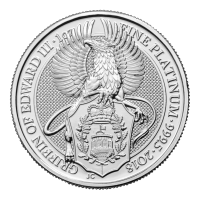 Anverso Efigie de la reina Elizabeth II y las palabras "Elizabeth II 50 Dólares 2019"
Efigie de la reina Elizabeth II y las palabras "Elizabeth II 50 Dólares 2019"
Moneda de oro Hoja de Arce Canadiense 2019 de 1 oz We’ll offer you the web’s lowest rate, when you order your 1 oz 2019 Canadian Maple Leaf gold coin from our online shop today. 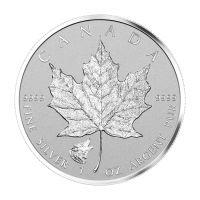 The acclaimed Maple Leaf range from The Royal Canadian Mint is renowned for its flawless detailing and state of the art security and design features. The reverse of this bespoke masterpiece features a Canadian Maple Leaf, every detail and vein meticulously realized. The reverse also features a field of dazzling, micro-engraved radial lines, a mint mark, Canadian legend and details of weight, content and purity. The obverse features the same dazzling field as the reverse, with a stylistic feature depicting Elizabeth II in profile. Also on the obverse, Elizabeth II’s name, as well as the coin’s face value and year of issue. The Maple leaf is a widely recognized symbol of the nation of Canada, thanks to its use in the centre of the Canadian national flag. Celebrate the beautiful land of Canada and enrich your portfolio with a breathtaking 1 oz 2019 Canadian Maple Leaf gold coin today!